(April 7, 2019) The Lucas Oil Late Model Dirt Series headed to the states of Tennessee and Georgia over the April 5-6 weekend and the Dunn-Benson Motorsports team continued their journey with the national touring series in battling for both $12,000 top prizes. On Friday night at 411 Motor Speedway in Seymour, Tennessee, Devin Moran placed fourth in his loaded heat race and eighteenth in the final rundown of the 50-lap feature event. At North Georgia Speedway in Chatsworth, Georgia on Saturday evening, Devin ran second in his heat race and climbed up inside of the top three during the course of the 50-lapper before settling for a strong fourth place performance behind only victor Jonathan Davenport, Don O'Neal, and Josh Richards. The Dresden, Ohio rising star still sits fourth in the latest version of the LOLMDS point standings following the doubleheader weekend. Full results can be accessed online at www.lucasdirt.com. (February 15, 2019) The penultimate event of the 2019 'DIRTcar Nationals' at Volusia Speedway Park took center stage in the Dirt Late Model world tonight and the World of Outlaws Morton Buildings Late Model Series presided over another $10,000 to win spectacular. Devin Moran placed fifth in his heat race and second in his B-Main, which allowed him to start from the outside of the twelfth row in the 50-lap feature. Devin was then gunning for a top ten effort in the contest, but was involved in a lap 27 crash that knocked him out of the race and dropped him to twenty-fourth in the final rundown. The Tye Twarog Racing (TTR) team made the decision to leave VSP following the race and Devin's stint in Georgia/Florida "Speedweeks" is now over. (February 14, 2019) Valentine's Day for the #9 team was headlined by another $10,000 to win World of Outlaws Morton Buildings Late Model Series shootout tonight at Volusia Speedway Park in Barberville, Florida. Devin Moran suffered ignition woes before his heat race and was forced to scratch from his prelim before finishing seventh in his B-Main. Devin then utilized a provisional to gain access into the 50-lap headliner and was able to salvage a fifteenth place showing. (February 13, 2019) The World of Outlaws Morton Buildings Late Model Series returned to competition tonight at Volusia Speedway Park and a $10,000 top prize was on the line for the stellar 44 car field. Devin Moran placed fifth in his stacked heat race prior to picking up the victory in his B-Main. After rolling off from the outside of the ninth row in the 50-lapper, Devin advanced five spots to finish the contest thirteenth in the final finishing order. (February 11, 2019) The 48th edition of the 'DIRTcar Nationals' for the Super Late Models started tonight at Volusia Speedway Park with a $7,000 to win shootout at the 1/2-mile Barberville, Florida speedplant. Devin Moran, who was back behind the wheel of Tye Twarog's #9 machine, qualified fifth quickest in his group during time trials prior to grabbing the fourth and final transfer spot through his heat race. After starting the 30-lap sprint from the inside of the eighth row, Devin advanced up to tenth in the running order before eventually crossing the checkers in the twelfth finishing position. (February 8, 2019) Night five of the 'Winternationals' at East Bay Raceway Park drew a huge crowd and the live MAVTV television cameras. The $12,000 to win Lucas Oil Late Model Dirt Series program marked the first points paying event of the busy week at the Tampa-area venue. Devin Moran turned in another strong performance tonight, as he qualified tenth fastest in Group A during time trials prior to finishing third in his loaded heat race. Devin then picked off six competitors during the 50-lap contest to record a fifth place showing behind only victor Jonathan Davenport, Tyler Erb, Earl Pearson, Jr., and Scott Bloomquist! 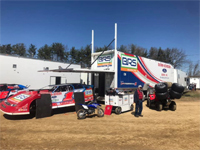 (February 7, 2019) The fourth leg of the 43rd annual 'Winternationals' greeted Dunn-Benson Motorsports tonight at East Bay Raceway Park and another $7,000 paycheck was on the line for the cars and stars racing with the Lucas Oil Late Model Dirt Series. In qualifying at the Gibsonton, Florida oval tonight, Devin Moran notched the ninth quickest lap in Group A before grabbing the third and final transfer spot through his heat race. In the wild 40-lap main event, Devin gained thirteen positions during the course of the race and eventually landed in the fourth spot behind only victor Hudson O'Neal, Earl Pearson, Jr., and Tyler Erb! (February 6, 2019) Round three of the 'Winternationals' at East Bay Raceway Park in Gibsonton, Florida took place earlier tonight and all eyes in the pit area were on capturing the $7,000 payday. Devin Moran timed in twenty-first quickest in Group B during qualifying prior to placing sixth in both his heat race and his B-Main. After utilizing a Lucas Oil Late Model Dirt Series provisional to gain access into the 40-lapper, Devin blitzed past fourteen racecars on his way to a steady tenth place effort. (February 5, 2019) Another $5,000 windfall was up for grabs with the Lucas Oil Late Model Dirt Series tonight at East Bay Raceway Park. The Gibsonton, Florida facility drew a stout 56 car field and Devin Moran started his night off by clicking off the eighteenth quickest lap in Group B during time trials. Devin then finished fourth in his stacked heat race before grabbing the second and final transfer spot through his B-Main. The Dresden, Ohio ace then picked off ten competitors during the 30-lap contest to score a fourteenth place performance. (February 4, 2019) The 43rd annual 'Winternationals' kicked off tonight at East Bay Raceway Park in Gibsonton, Florida and 53 competitors showed up to do battle for the $5,000 winner's check. Devin Moran posted the tenth fastest lap in Group B during the Lucas Oil Late Model Dirt Series qualifying session prior to running second in heat race action. Devin then started the 30-lap sprint from the outside of the fourth row, but slipped back a few spots out of the top ten - eventually guiding his #1 Dunn-Benson Motorsports ride to a twelfth place showing. (February 2, 2019) Another $12,000 payday was on the line with the Lucas Oil Late Model Dirt Series tonight in the 'Super Bowl of Racing' finale at Golden Isles Speedway. A stout 37 car field signed into the pit area at the Brunswick, Georgia-area oval and a large crowd was on hand to witness all of the ground-pounding action. Devin Moran stopped the clock fourteenth fastest in Group A during qualifying prior to grabbing the fourth and final transfer spot through his stacked heat race. The Dresden, Ohio rising star started the 50-lapper from the inside of the eighth row and climbed up inside of the top ten before eventually placing thirteenth in the final finishing order. 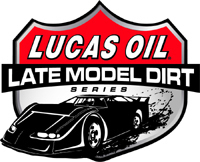 (February 1, 2019) The 2019 edition of the Lucas Oil Late Model Dirt Series season got underway tonight in the 'Super Bowl of Racing' opener at Golden Isles Speedway near Brunswick, Georgia. Most of the $12,000 to win racing program was completed this evening, but the final B-Main and the 50-lap headliner were pushed to Saturday afternoon after inclement weather struck the southern Georgia speedplant. Devin Moran, making his debut for Dunn-Benson Motorsports, knocked down the ninth fastest lap in Group B during qualifying before placing second in his loaded heat race. After rolling off from the outside of the third row in the daytime affair on Saturday, Devin ran into trouble on the first circuit, had to go to the tail of the stellar field, and rallied to a strong eighth place effort! 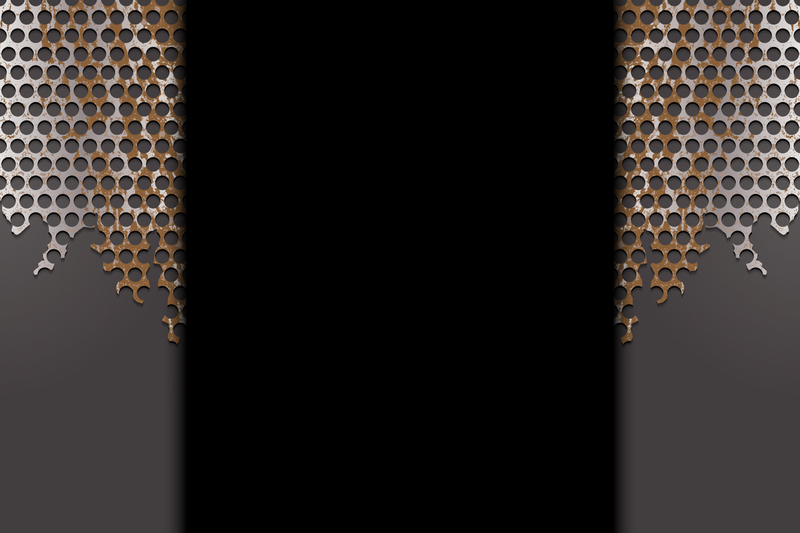 (January 31, 2019) Dunn Benson Motorsports owned by Kemp Lamm is pleased to announce the 2019 Marketing Partner line-up. 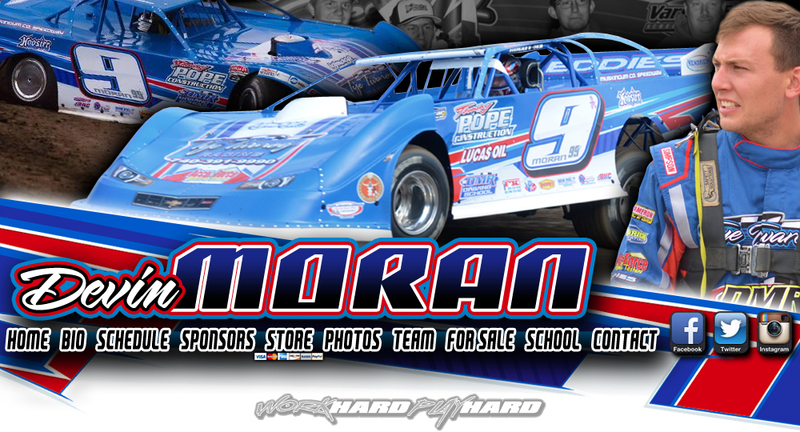 The Dunn Benson Motorsports Race Team will compete on the Lucas Oil Late Model Dirt Racing Series, contending for the National Championship and Rookie of the Year Honors with young gun Devin Moran behind the wheel in 2019. (January 26, 2019) The fourth and final night of the Open Wheel Modified portion of the 'Winternationals' took place earlier tonight at East Bay Raceway Park and all eyes were fixated on the $5,000 paycheck. Devin Moran, who was in the pit area to practice with his Dunn-Benson Motorsports team, took Modified driver Matt Altiers up on his offer to compete in the lucrative open wheel program. Devin grabbed the third transfer spot through his heat race and later started the 75-lap headliner from the inside of the eighth row. In his 2019 debut, Devin had blasted up inside of the top ten behind the wheel of the #2a machine before unfortunately getting caught up in a wreck, which dropped him to twentieth in the final finishing order at the Gibsonton, Florida facility.